The Grandmothers Council was brought together by a common vision set in motion by the Center for Sacred Studies (CSS), a non-profit 501(c)3 organization. CSS is dedicated to sustaining indigenous ways of life through cross-cultural spiritual practices, ministry and education, and a commitment to peace and unity for all peoples. The vision shared by both CSS and the Grandmothers calls for the Earth¹s first nation peoples to unite for the benefit of all beings. Please visit our websites — www.sacredstudies.org and www.cssministryofprayer.org — for details on our other programs. Buddhi Maya Lama, who is also known as Aama Bombo (Mother Shaman), was born in the remote village of Melong in the Eastern part of the Bagmati Zone, Nepal, 65 years ago. Her father was a renowned shaman in the Nepalese Tamang tradition. Aama became a shaman in spite of the Tamang tradition that women are not supposed to practice shamanism. In the early days, her father restricted her in every way from practicing shamanism. However, when her father died at the age of eighty, his spirits and other gods and spirits started visiting and teaching her to be a shaman, against the prevailing cultural values of Tamang society. Family of Nepal with equal dedication and respect. I’d like to talk about problems in the world and what the sources of these problems are. I am Tibetan, so I will speak about the situation in Tibet, which affects all of us. Tibetans took very good care of the land, but now it is becoming a place where radioactive waste from products all over the world are being buried. It is a danger for everyone. Tsering Dolma was born in Tibet in 1929. 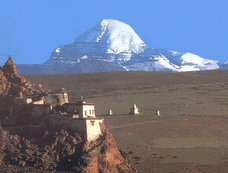 Because of the Communist invasion of Tibet, she escaped along with her family from Tibet in 1958 to India. In 1972, she and her family (four children) came to Canada as refugees. She returned to India and became one of the founding members who revived the Tibetan Women’s Association (TWA).During the next ten years, she served as an executive member of TWA and established over 30 branch offices worldwide. In 1995, Tsering Dolma attended the Fourth World Women’s Conference held in Beijing, China. She faced many threats and dangers as she along with others openly criticized the Chinese government and its treatment of the Tibetan people and especially Tibetan women. She now resides in Toronto and remains as an advisor to the TWA.